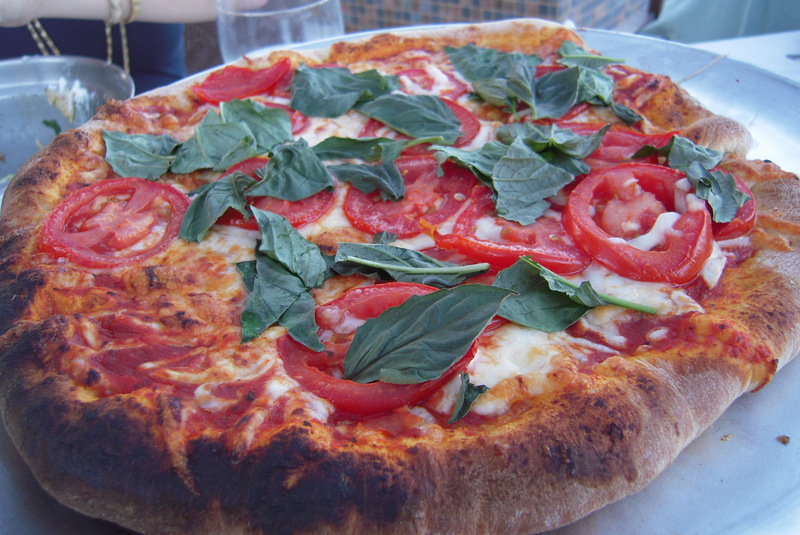 We ate the most amazing pizza the other night thanks to our friends Russell and Amy. Russell, who just happens to be a professional baker, just had a massive pizza oven installed at his home, and we were lucky enough to get to try it out. While Russell perfected his dough, letting it sit for 3 days (I’ve still so much to learn about making bread), some of the fun was left for us: topping the pizzas, which I can definitely do. 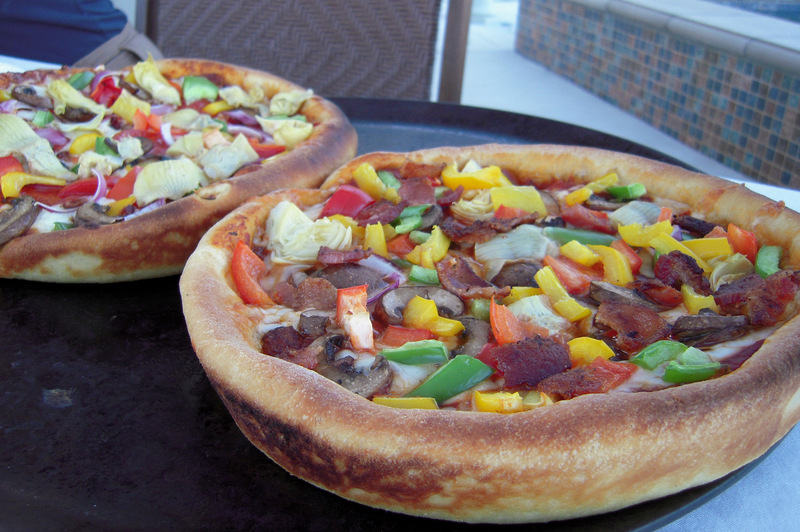 On top of a deep dish crust, I added pepperoni, bacon, red onion, red, yellow, and green peppers, mushrooms, and artichokes. Jan’s thin-crust pizza was a monster with double cheese, tomatoes, basil, and artichoke hearts so high that Russell wasn’t sure he’d be able to slide the pizza off the wooden cutting board and into the oven. Our friends Kristi and Ferol also got into the action, making a thin-crust margarita pizza, and another combination deep-dish. While Russell insisted his dough recipe needed perfecting, we all had to disagree. It was amazing! The thin crust was crunchy and light, and the deep-dish was the first time I’d had that style pizza without it being a soggy, greasy mess. Amy and Russell sent us home with some dough for another pizza and I’ve now got my work cut out for me: trying to convince Jan a pizza oven shouldn’t be our next big investment. I have got to make friends like this. That looks amazing! 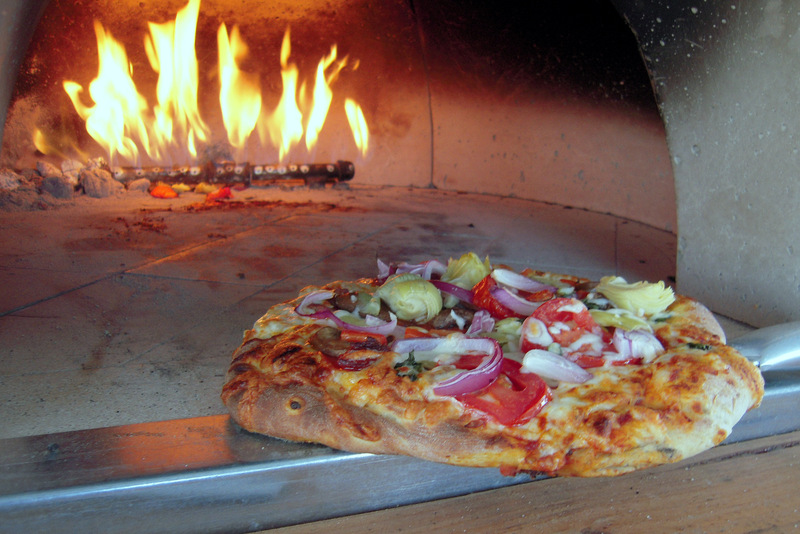 And maybe Jan *should* get a pizza oven – we would help you put it to good use!